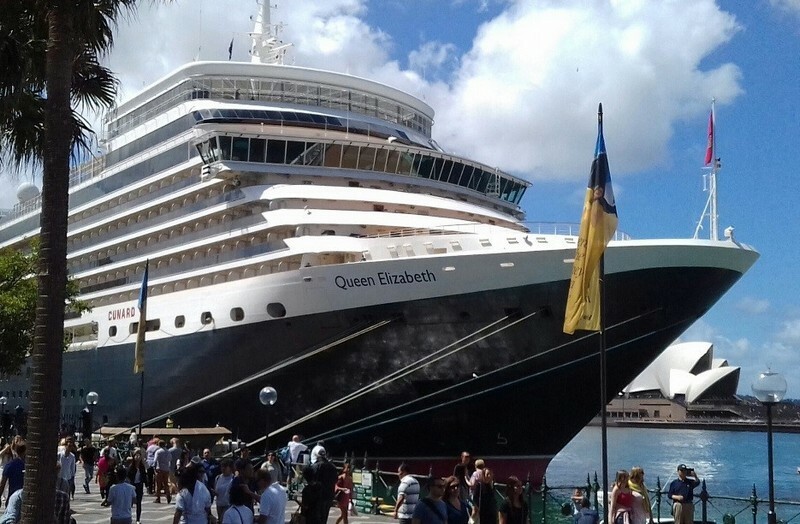 I recently had the opportunity to sail from Sydney to Brisbane onboard Cunard’s Queen Elizabeth and although I wasn’t sure what to expect, I am happy to report that I was pleasantly surprised upon boarding in Sydney on a Friday afternoon. The décor I would describe as being classic and timeless. The main atrium area features a majestic three-deck high Grand Lobby with a sweeping staircase, sculpted balconies and elegant decorative touches. As we pulled away from Circular Quay, we were given instructions from our Cunard/Carnival Corp hosts, to meet up on Deck 9 in the Commodore Club and what a perfect spot this proved to be. The Commodore club is located up high at the very front of the ship and provided spectacular views as we sailed out of Sydney Harbour, past the Opera House and finally out to sea. A perfect view point and a perfect place to enjoy a cocktail or two. The Queens Room is a Grand Ballroom and another popular area that includes huge chandeliers above a wooden dance floor. High Tea is also held in this area daily and this is also highly recommended. 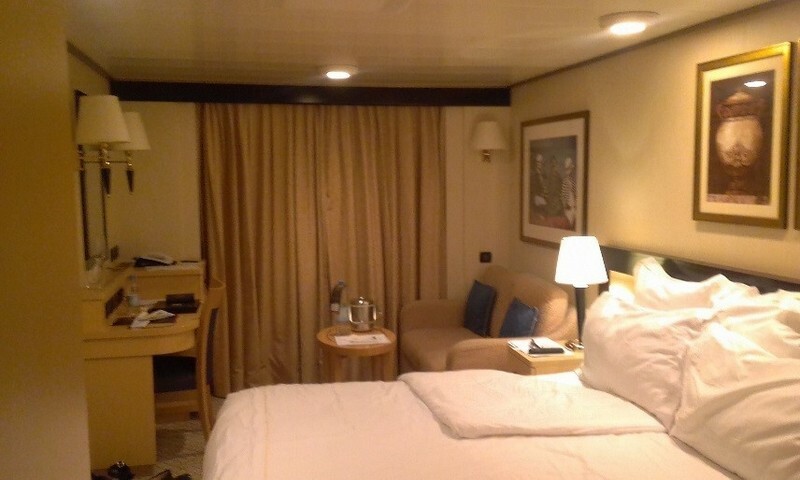 As the ship was full from departing from Sydney, we didn’t get the opportunity to see any vacant cabins however I can confirm that the Balcony Cabin I had, was very bright and spacious. The bed in the cabin was large and comfortable. Next to the bed there was a 2 seater lounge and opposite the lounge there was a small shelf and bar fridge. On the balcony outside, there is a small table and 2 chairs. Again this area was quite spacious with plenty of room for 2 or more people. Our group dined in the main dining room on the first night. Britannia Restaurant is located aft and is two decks high, with seating on both levels (stairways link both levels), and two seatings for dinner. All of the meals that were served looked to delicious. The staff in the dining room were very attentive and the meals all arrived within a reasonable time. The second night, we were given a special treat and dined in The Verandah Restaurant which is a beautiful à-la-carte specialty dining venue. This venue serves classic French cuisine and is exceptionally good and makes for a fine dining experience. Reservations are required to dine here and a small cover charge applies but is well worth it and highly recommended at least once during your cruise. After dinner guests made their way to some of the various bars, shows or entertaining areas around the ship and all of these areas were quite well attended. There are a number of venues onboard including a smallish casino compared to some others I’ve seen, the 3 level Royal Theatre and an old English style pub called the Golden Lion, which is a fun venue with live music and karaoke. All too soon my voyage comes to an end and before I know it, I am disembarking in Brisbane and on my way to the airport. 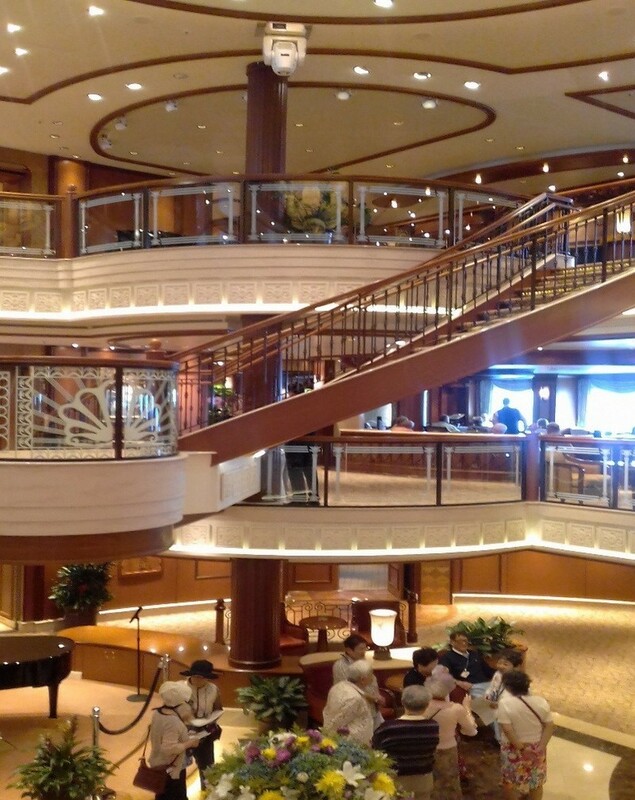 Final word: Cunard’s majestic Queen Elizabeth is an elegantly themed cruise ship and I found her to be very spacious with a modern luxury look and feel.